See the main comment on OperandBundleUser above. Definition at line 1855 of file InstrTypes.h. Definition at line 1868 of file InstrTypes.h. References Begin, End, and Tag. Definition at line 1862 of file InstrTypes.h. 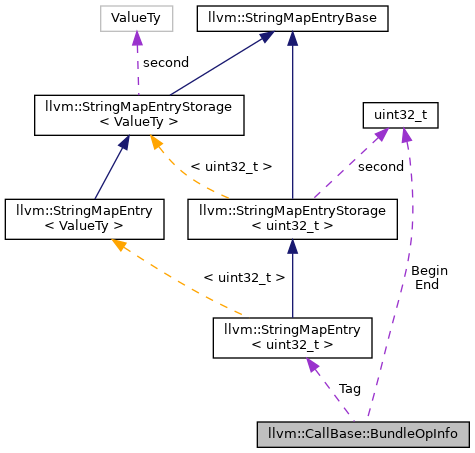 Referenced by llvm::CallBase::operandBundleFromBundleOpInfo(), and operator==(). Definition at line 1866 of file InstrTypes.h. Definition at line 1858 of file InstrTypes.h.